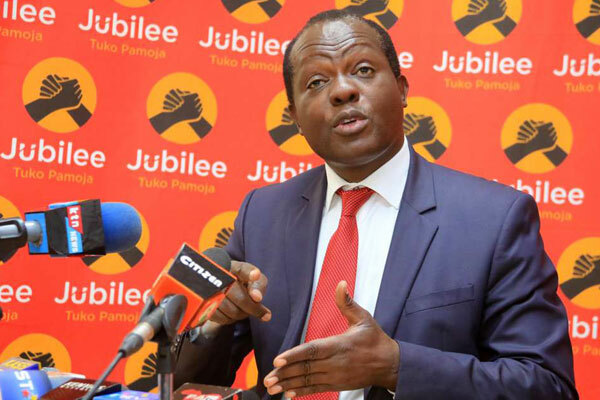 Friday November 9, 2018-Jubilee Party Secretary General, Raphael Tuju, has dismissed claims by former Nairobi County Assemble Speaker, Beatrice Elachi that he was behind her impeachment. In September this year, Elachi was impeached by Jubilee and NASA MCAs over claims of gross misconduct. Following her ouster, Elachi blamed Tuju and said he failed to protect her against onslaught by Jubilee MPs. But speaking on Friday , Tuju explained that the Standing Orders are domiciled at the Assembly and, therefore, out of his jurisdiction as a party official and added that the decision to oust her was supported by legislators from both sides of the house. “If it was only Jubilee, I could have prevailed over the MCAs”, Tuju said. Tuju, who is also a Cabinet Secretary without portfolio, gave an example of when both he and Deputy President William Ruto whipped the members the first time Elachi faced an impeachment motion in June.